There is always that bit of excitement when you know you are headed to the track for some high-speed thrills. 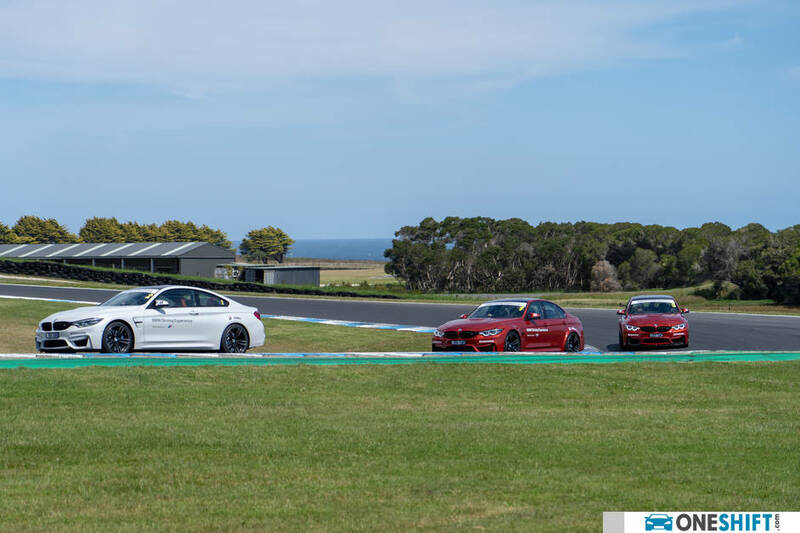 The BMW M Driving experience aims to teach you the basics of how to properly track a car. 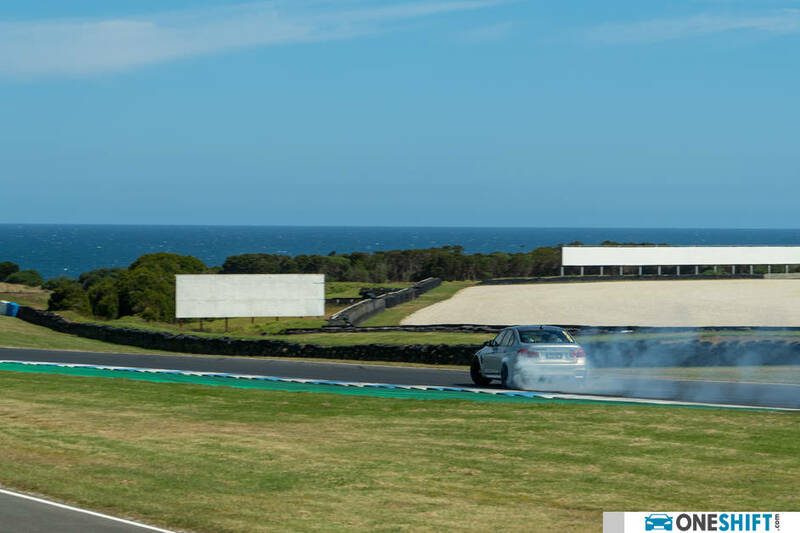 Our lovely trackday is held at the Phillip Island Grand Prix Circuit in Victoria, Australia, and is associated with the likes of 500cc bike legends, Wayne Gardner and Wayne Rainey. 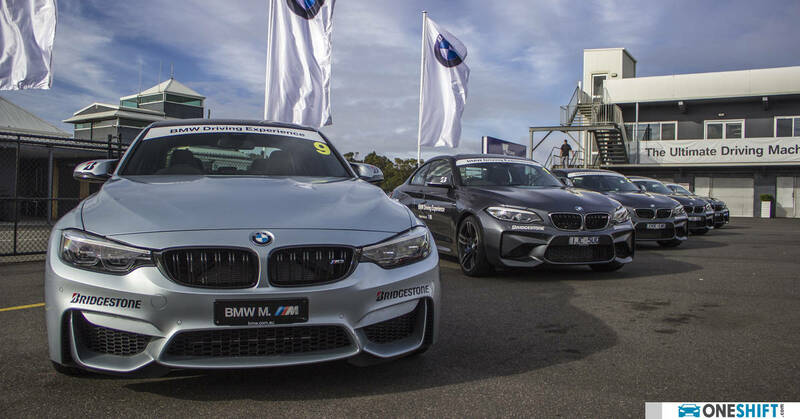 I’m typically not a morning person, but the crisp morning air at the track, coupled with knowing that you will be doing the lapping in cars like the BMW M240i, M2, M3 and M4 is surely better than any rich dose of morning coffee. 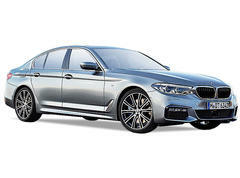 The course I am embarking on is the BMW Advance 1 Driving Experience. While being on a track with a car is not new to me, the sheer excitement and satisfaction of planting one around the bends, taking your lines right, and powerig out from a series of corners always never changes. 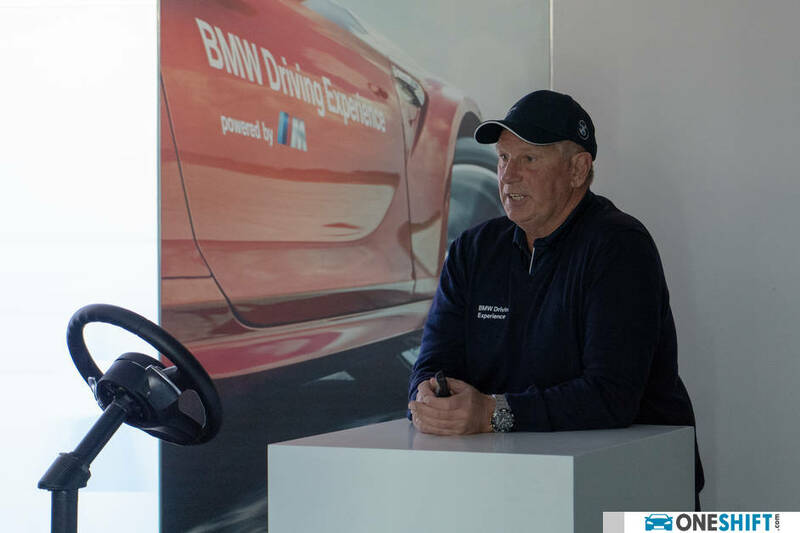 So before all the high-speed fun begins, there is of-course a little classroom session, conducted by BMW Driving Experience Chief Instructor, Derek Walls. A man, as serious as he is funny, and always easy-going. The middle quality of him, of which stuck the most in my head. A good classroom session of basic track fundamentals later, we were rearing to go! 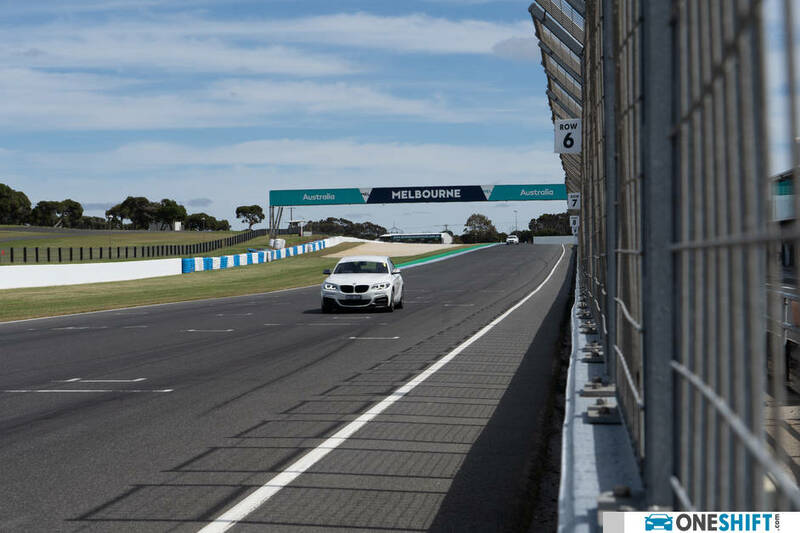 Our first session involved warming up with hot laps around the circuit in the lovely BMW M240i. With an instructor’s lead car in the front, we take the cars through some familiarisation laps. 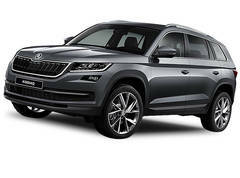 Crackling over the radio, is the voice of our instructor, on where to place the car before each bend and crucially how hard we might need to brake. The M240i is slightly softer a car compared to the quicker M2, and is quite a forgiving performer. 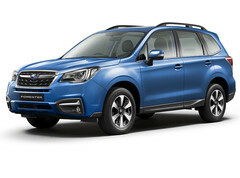 Other exercises involved the understanding of how to best utilise a car’s ABS brakes, from placing all faith in the braking system by stopping hard in a straight line, with our hands off the wheel, to obstacle avoidance while still having the brakes applied. Very quickly you will learn that old habits die hard, especially that many of us are wired to perform emergency braking in a straight line, and steering the car away from trouble does give you the advantage of added stopping distance, while the car’s anti-lock and brake force distribution systems ensure that the car is not unsettled while performing these maneuvers. 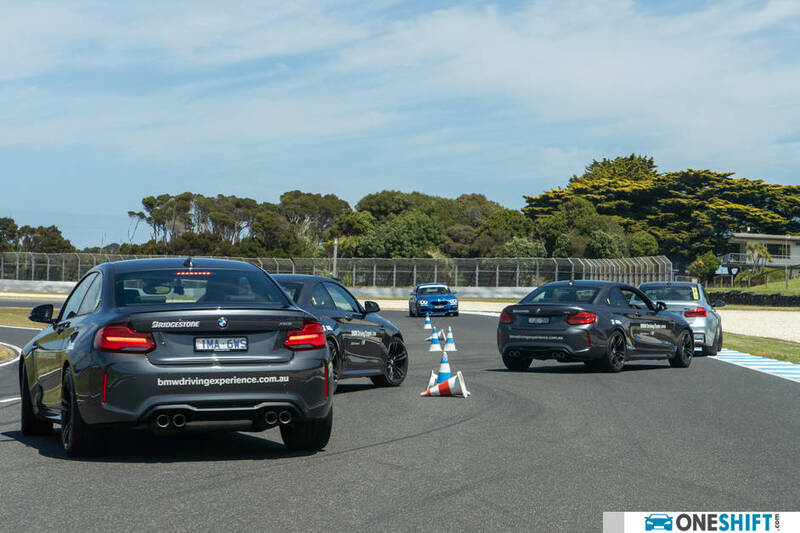 There is never a boring moment, as the programme planners weaved in plenty of track time in-between exercises, with the M2 being the next vehicle we were to go lapping in. As each detail has three cars, we are actually given the opportunity to shuffle our positions while on the track. 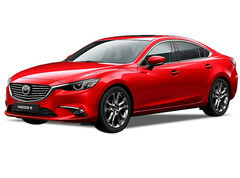 This also provides opportunity for drivers with varying skill sets to take the lead position, behind the instructor’s car, which also gives the instructor a better understand individual driver’s capabilities. The M2 proves to be a more planted car, with a tighter rear end than the M240i, and with stronger brakes. 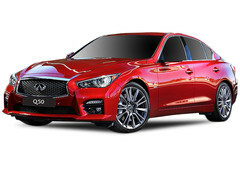 While the M240i was indeed confidence-inspiring, the M2 easily took that driver confidence to the next level. Since we were already acquainted to the track, I found myself naturally pulling the car much tighter into the corners, and way onto the kerbs. The M2’s short wheelbase and tight handling makes you feel at one with the car so easily too. 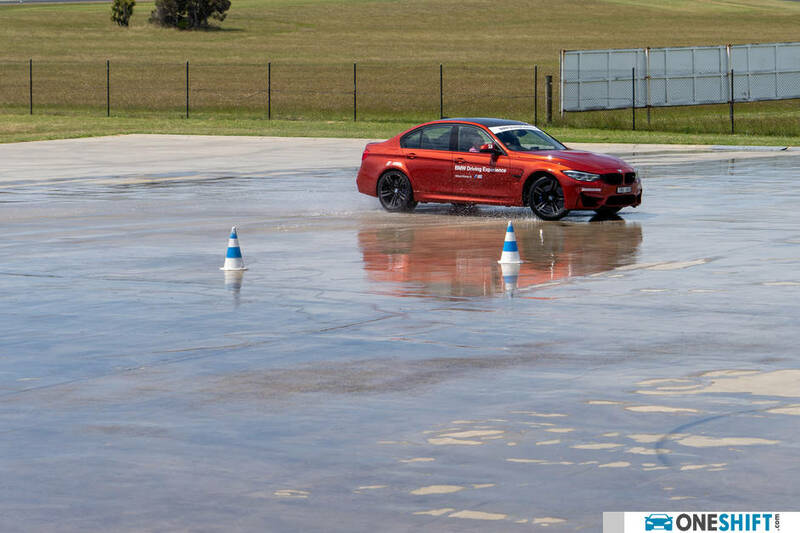 The next exercise on the plate is the Slalom Course, while it is commonplace to conduct these during track workshops, it truly aims to teach you how to steer the car smoothly as you weave through the cones, while ensuring that you keep the car settelled. Since we were using the rear-wheel drive M2, organisers also added a front-wheel driven MINI John Cooper Works hatch for good measure, to allow us to understand the different handling characteristics of both drive types. 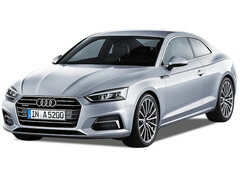 Switching between both cars requires some good adjustment to your driving style, as the former would want to oversteer, and the latter would want to understeer. The final course we were to master… not that we could in one sitting, was learning how to drift. 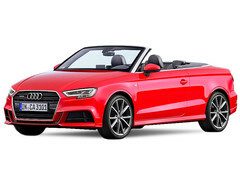 Many of us would have seen some drivers on youtube doing this like its second nature, but very quickly, we learnt that it involves plenty of delicate control of power, knowing when to lift off the throttle, and how to catch the car when the rear comes around, and how to feed the power back in. 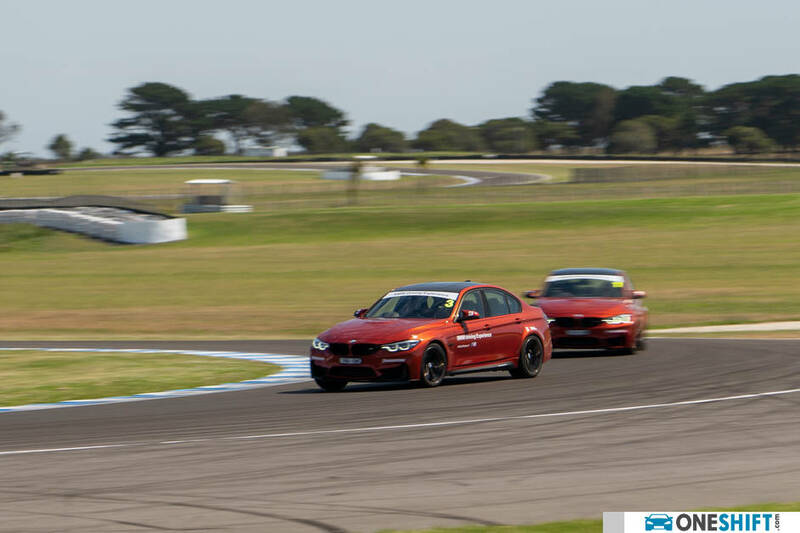 In doing this, we got ourselves into some M3 cars, with the Dynamic Stability Control shut off. 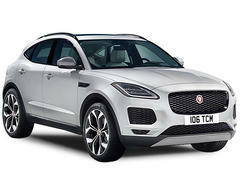 Right away the car feels strangely different, without any sign of power-robbing safety-nets in-place. 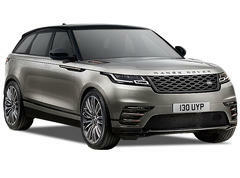 On a wet surface, it does not take much right footing around a bend to remove any grip from the rear wheels. I learnt how to be more relaxed with myself, as tensing up only makes you forget your footwork. 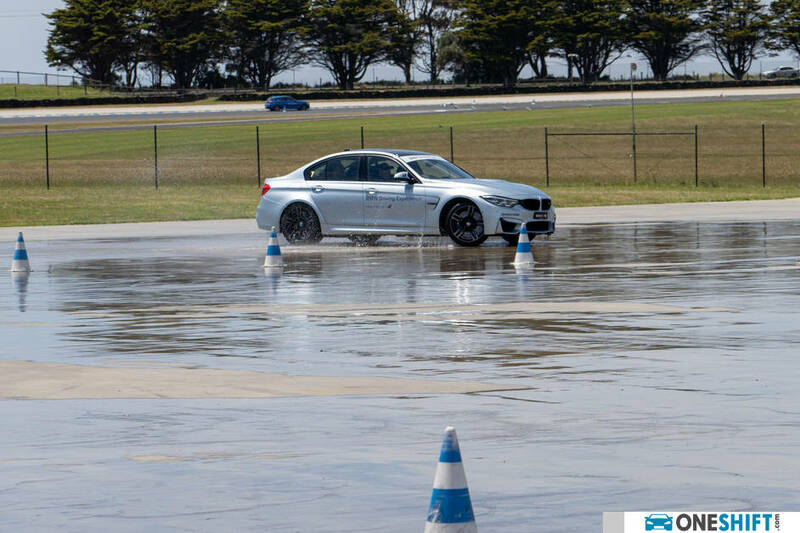 Our last hot lapping session involved us driving the more powerful M3. Some sections are a little deceiving since the track is slightly hilly, not only hampering vision, but the camber before and around the bends also plays into how the car handles. We are thankful that at all times, we can hear that voice crackling through the radio from the instructor’s car, reminding us early on where to brake, or even where to place the car before an oncoming turn. 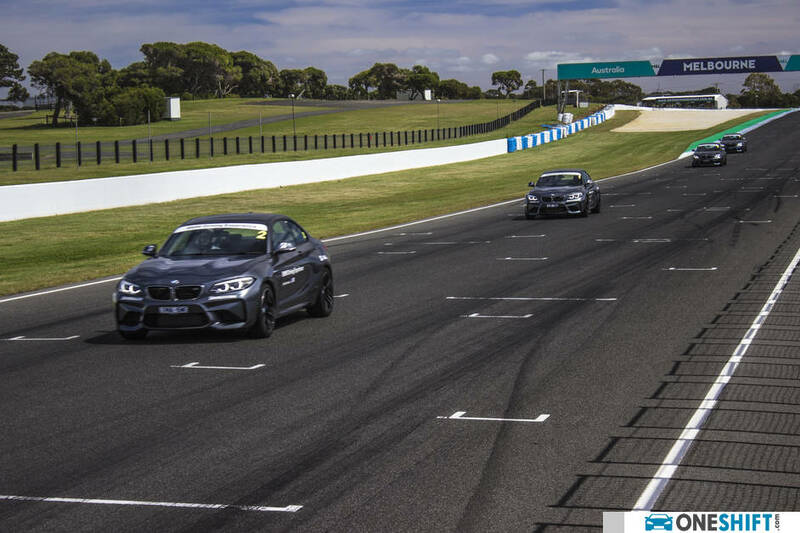 Powering down the straight, past the paddock, you can even catch a quick glimpse of Bass Strait, with its blue waters glistening under the sun, as the downward straight soon makes way for a long right, and then a left. 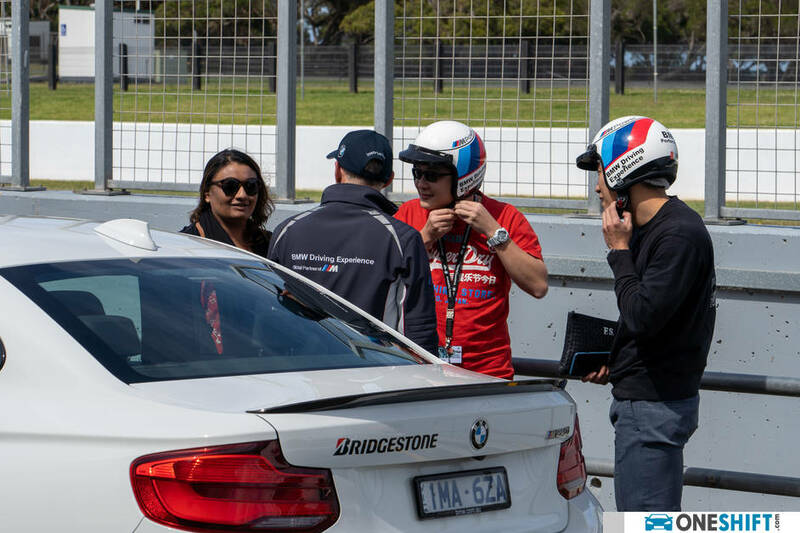 As a surprise treat for us, after our hot laps, we were given the opportunity to hop into the cars with our instructors at the wheel for a track taxi experience. Knowing that they have spent plenty of time on this track, it was truly the ideal way to experience how to squeeze out the very best in the cars. 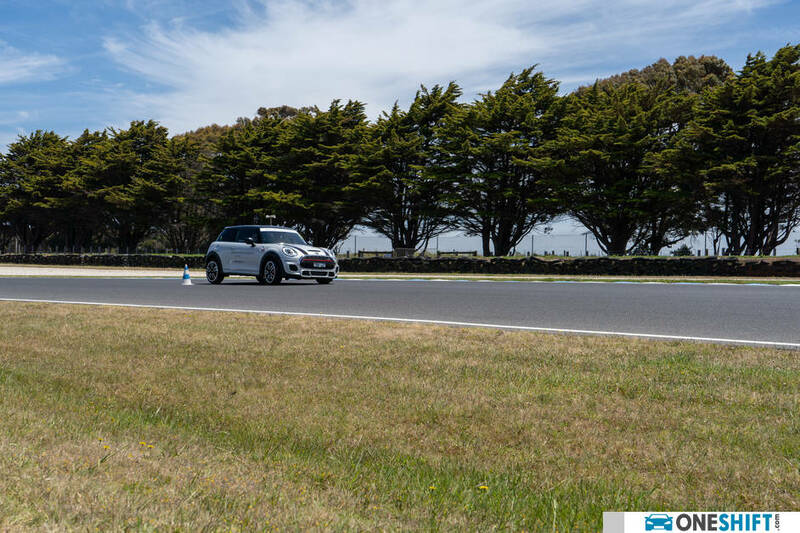 With all driver aids turned off, we could see how relaxed our instructor was behind the wheel, as he planted the car around the turns, correcting the car that little bit, as the rear end steps out a little after each bend. Then lap two came, and suddenly were going sideways around each bend. 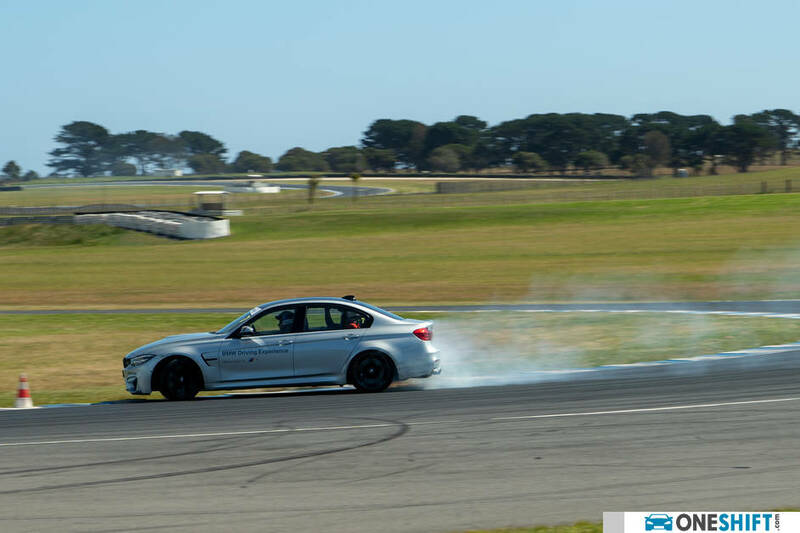 Sitting in the rear, i could see tyre smoke emitted from the inner rear wheel, as the M3 we were in was drifted from corner to corner. Not only did our instructor make this look easy, he was chatting with us, as-if it was just an ordinary drive. 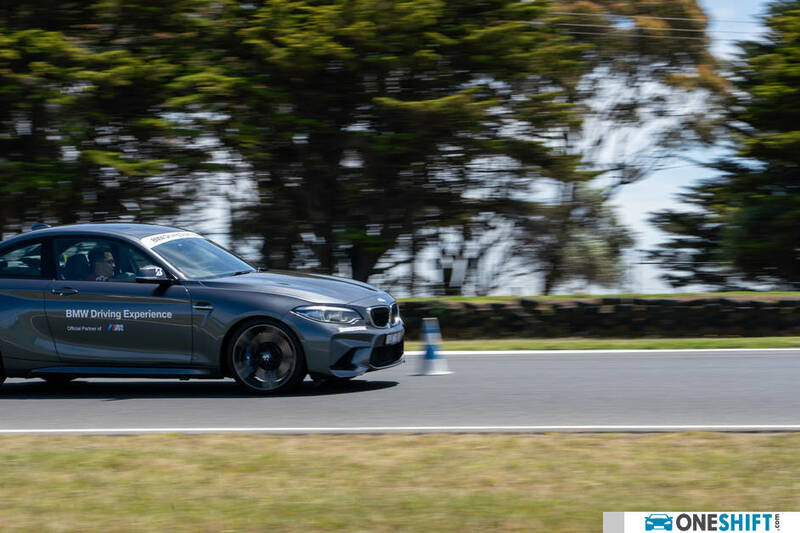 The weight transference of the car as we lept from one corner to the next was so smooth, it actually felt natural, while we could hear the M3’s angry 6-cylinder up-front barking away, delivering power ever so smoothly. We were all smiles at the end of the day, as we received our BMW Advance 1 Driving Certificate from BMW Driving Experience Chief Instructor, Derek Walls; after a debrief from him, telling us how we faired on the track, including not mentioning names of someone *coughCliffordcough* of being heavy-footed. 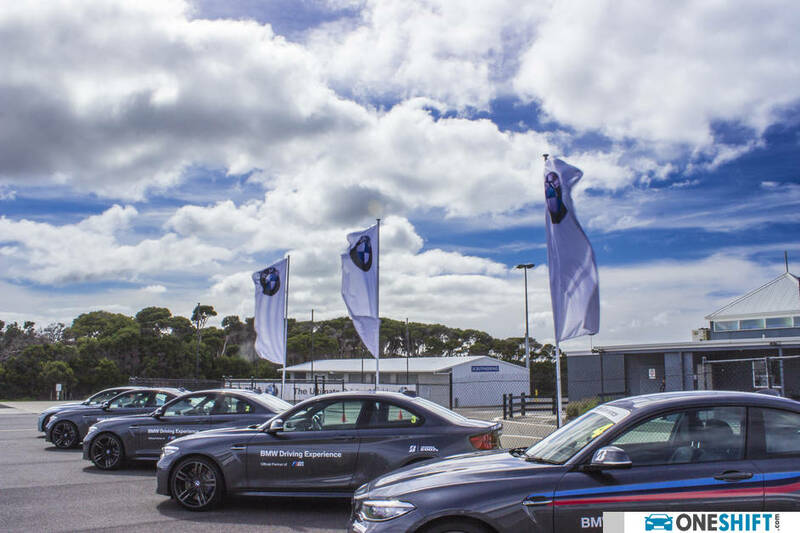 The BMW Driving Experience is available for booking, with the fee for this Advance 1 course, going for AUD$1,395, excluding airfare and lodging. 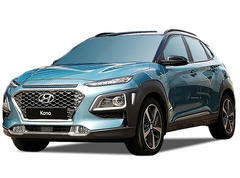 Participants from Singapore should also apply for an International Driving Permit in order to qualify to drive the cars.